The Boxing Truth®: Will Mayweather-Pacquiao Live Up To Its Anticipation? Will Mayweather-Pacquiao Live Up To Its Anticipation? Such is the case in regard to the Floyd Mayweather-Manny Pacquiao Welterweight unification clash that will take place Saturday night at the MGM Grand in Las Vegas, Nevada. This is a fight that Boxing fans and experts alike have been waiting for nearly a decade to become a reality. A fight that has been referred to as “The Fight Of The Century.” In comparison to other “Super Fights” that taken place in the sport, this observer believes Mayweather-Pacquiao is similar to the classic battles of the 1980s involving Sugar Ray Leonard, Roberto Duran, Thomas Hearns, and Marvelous Marvin Hagler in terms of anticipation. In one corner stands Floyd Mayweather, a fighter who has won world titles in five different weight classes and is undefeated in forty-seven professional fights. Standing across the ring from Mayweather will be Manny Pacquiao, a winner of fifty-seven of sixty-four professional fights who has won world titles from the 112lb. Flyweight division to the 154lb. Jr. Middleweight division. Stylistically, this fight figures to be an interesting tactical battle. Pacquiao, a fighter known for his speed, punching power, and ability to throw punches from all angles will face one of the most accurate fighters in the sport in Mayweather. The key to this fight in my eyes will be whether or not Pacquiao can find a way to break through Mayweather’s superb defense more than occasionally and avoid Mayweather’s counter punches. Fighters such as Jose Luis Castillo, Oscar De La Hoya, Miguel Cotto, and Marcos Maidana were all able to have periods of success in their fights against Mayweather. An argument can be made however, that all four ended up on the losing end of decisions to Mayweather due to Mayweather’s ability to adapt in the middle the fight as well as those fighters relenting from the consistent pressure that they put on him in the early rounds, which allowed Mayweather to gradually take control of those fights as they progressed and win those fights on the scorecards. It is crucial in my eyes that Pacquiao bring the fight to Mayweather at a fast pace and maintain that pace for a full twelve rounds. It will be interesting to see how Mayweather deals with a fighter who is aggressive and who executes his offense in a swarming fashion as Pacquiao. Although I believe that Pacquiao needs to be consistent with his offense and not let up as the fight progresses, he must also be wary of Mayweather’s ability to counter punch and not be reckless in his attack. It is important to remember that Pacquiao was caught by a flush counter right hand in his fourth fight with Juan Manuel Marquez, who is in his own right a highly skilled counter puncher and was knocked out as a result. Mayweather has befuddled many opponents over the years with his defensive prowess as well as his hand speed. It is logical to assume that Mayweather will not change things up in this fight and will look to play the role of counter puncher and take advantage of any openings that Pacquiao might leave him. If Pacquiao can maintain a consistently high offensive output throughout the entire fight, it may force Mayweather to become more aggressive in the later rounds. It is a fight that one could make an argument for either fighter winning the fight and there will likely be varying opinions on who will win and how. An answer that this observer has used over the years when asked for a prediction on an upcoming bout is that I don’t give predictions, but instead offer a well-educated guess as to what may happen in a fight. 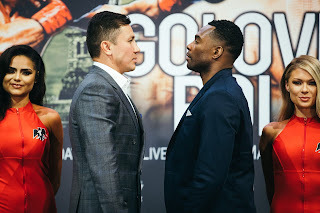 Although it is true as I have often said over the years that “Anything can happen at any given time in the sport of Boxing and that is what makes the sport so great.” in regard to this fight I believe that it could go the distance and depending on how the fight as fought, it would not shock me to see a close decision rendered at the end of the evening. One should keep in mind however, that even though it has been four years since Mayweather last scored a knockout and it has been nearly six years since Pacquiao scored a knockout win, both fighters do have the ability to get an opponent out of there should the opportunity present itself. In terms of what this fight will mean for the sport overall, it is only the second time that rival television networks HBO and Showtime have come together to co-produce a pay-per-view card. The first collaboration between the networks came in June 2002 when Lennox Lewis successfully defended his unified Heavyweight championship over Mike Tyson setting what was the highest grossing pay-per-view event in the history of the sport at that time generating over a hundred million dollars in pay-per-view revenue. The milestone however, was surpassed by Floyd Mayweather’s fight against Oscar De La Hoya in 2007 and that fight was surpassed by Mayweather’s bout with Saul Alvarez in 2013 as the highest grossing pay-per-view fight in the history of the sport generating 2.2 million pay-per-view buys and one hundred fifty million dollars in revenue. In this observer’s opinion the fight between Mayweather and Pacquiao is likely to shatter that record. It is after all a showdown between the two top pay-per-view draws in the sport and more importantly a battle between the two best fighters of their era. Whether or not the fight live up to its anticipation is a question that will be answered on Saturday night. It is my hope however, after years of anticipation, with the world watching that this will be a fight that like the classic encounters of the 1980s involving Leonard, Duran, Hearns, and Hagler will elevate the sport overall.